IBM has acquired the business operations of Lighthouse Computer Services subsidiary, Lighthouse Security Group. The purchase provides IBM with additional technology to build identity management services and tools. Lighthouse Security Group, which is headquartered in Lincoln, R.I., offers businesses a cloud-based platform for identity and data protection. Earlier this month, IBM acquired Italian security software company, CrossIdeas. 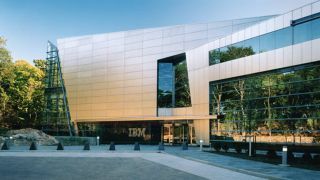 IBM plans to integrate Lighthouse Security Group and CrossIdeas with IBM's identity and access management tools to offer "a full suite of security software and services that protect and manage a user's identity," according to an IBM statement. Lighthouse's senior leadership team will be kept on after the acquisition. However, Lighthouse will not retain its branding, according to IBM External Relations Manager, Douglas Fraim. The security market is rapidly developing, due in large part to an increase in security attacks and a lack of confidence among security professionals. Almost 85% of information security professionals believe their existing technology can't prevent endpoint infections, according to the results of a survey conducted by Bromium. The results of an attack can be devastating: cybercrime costs businesses roughly $445 billion (about £350bn, AUD 469bn) annually, according to research from McAfee. IBM has more than 6,000 researchers and developers in 25 security labs worldwide focused on security solutions. In February, IBM launched security forensics software, QRadar Incident Forensics, designed to help security professionals retrace the steps of cyber criminals. Terms of the Lighthouse and CrossIdeas acquisitions were not disclosed.